Elder trees (Sambucus niger) are one of my favorite medicinal plants to work with. They help to keep you healthy and they taste great too. The leaves, flowers, and berries all contain medicinal properties. The bark and roots were commonly used in the past, but their use has become obsolete. The leaves are commonly used externally as a salve for bruises and wounds. The flowers are used as an infusion to treat coughs, colds, and allergies. The flowers are also used as a home remedy for earaches. If all else fails, elder flowers make an excellent wine. My favorite part of the elder tree is the berries. They can be harvested in late summer and early autumn. If you are lucky, you can find them in the wild, but you may also purchase a plant for your own backyard. 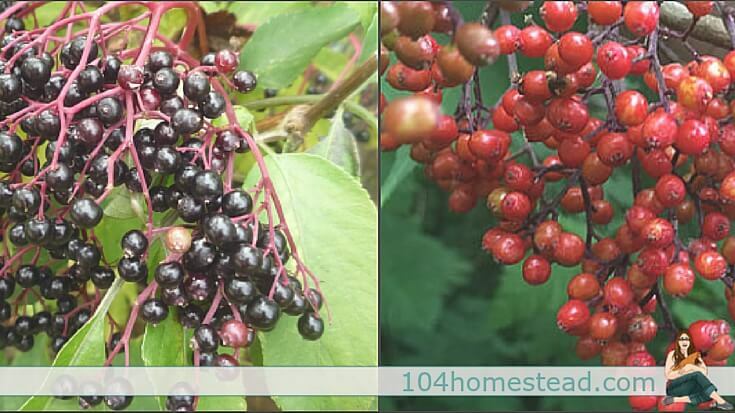 Elderberries are chocked full of vitamins and minerals. 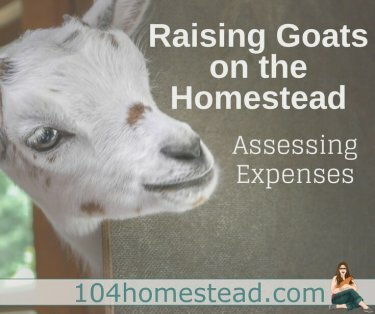 In the form of a syrup, they are a homesteader’s go-to method to stave off winter ailments. In addition to strengthening the immune system with antioxidents, elderberries contain bioflavonoids and proteins that prevent viruses from attacking cells. Be sure to properly identify the species of elderberry before using. Sambucus nigra (left) is safe for medicinal use. Sambucus racemosa (right) is highly toxic. 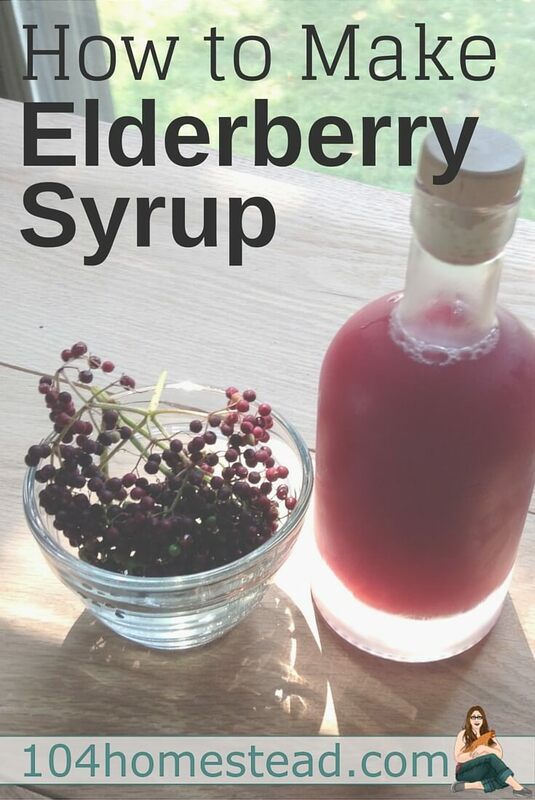 Elderberry syrup is very easy to make and it doesn’t take many berries. To save time when harvesting, harvest the entire berry bunch and separate the berries when you get home. I have heard that freezing the berry cluster helps to cleanly remove the berries, but I’ve never found it necessary. Add water, berries, ginger, nutmeg, and cinnamon to a saucepan and bring to a boil. Reduce to a simmer and cover with the lid tilted to allow some steam to escape. Simmer for about 1 hour. It should be reduced by about half. Remove from heat and allow it to cool enough to handle safely. Strain into a glass bowl though a mesh colander or cheesecloth. Compost the mash (it’s chicken safe!). Once the liquid has cooled to lukewarm, stir in honey. Pour syrup into half pint mason jars or other glass container. Preventative dose for adults is 1/2-1 tbsp. and for children is 1 tsp. daily. If you feel a cold coming on, take the preventative dose every 2-3 hours instead of daily. Although consuming more than the recommended amount isn’t dangerous, it can act as a powerful laxative. Homemade elderberry syrup will last in the fridge for up to two months so long as you use raw honey. The honey acts as a preservative. If you don’t think it will be used within 2 months, it can be frozen. For grownups, you can add 1/4 c. of vodka and use it as a nightly cordial. The addition of alcohol will preserve it for up to 6 months in the refrigerator. 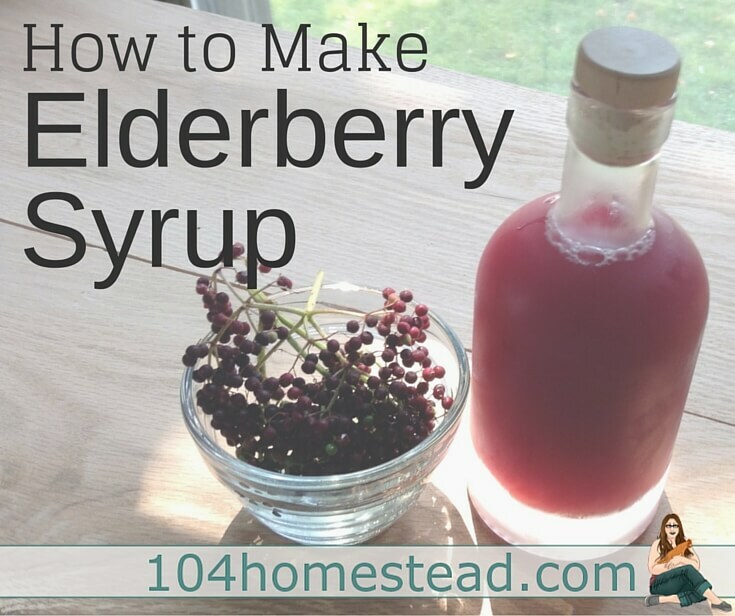 If making your own elderberry syrup isn’t up your alley, it can be purchase at many health food stores or online. I like this one from Gaia Herbs. It’s organic and suitable for adults and children. Do you think I can start with dried elderberries, reconstitute them, and THEN make the syrup? Can’t find frozen elderberries or I would try that. You can use it on pancakes or as a topping for ice cream. I’m sure you can add it to berry pies and as a layer in your cakes. I have also heard of Elderberry wine. Has anyone tried to make this? You can use it on pancakes or as a topping for ice cream. I’m sure you can add it to berry pies and as a layer in your cakes. I admit I don’t use elderberries to their fullest, and they grow in abundance here. Maybe this syrup is just what I need? The syrup is so easy and I swear by it for its healing properties. Plus, next week I have a post coming out that uses elderberry syrup to add pizzazz to a recipe.